Charlie is a cuddle bug, he is ginger and cream, with only a smidge of white on his chin. He has thick dark orange strips and beautiful orange coloured eyes. 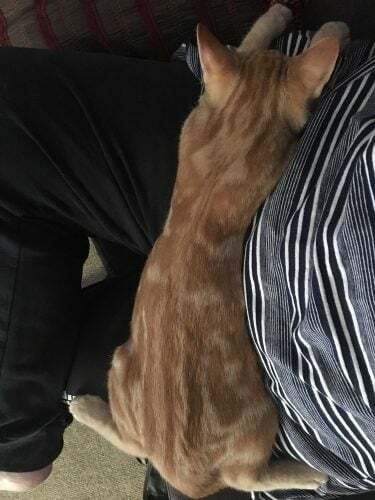 He loves to have a conversation with anyone and demands to be let up for his lap cuddles. He can be very demanding and persistent when he wants something. He is an intact male and doesn’t have a microchip as he got lost the week before his appointment to get it all done.